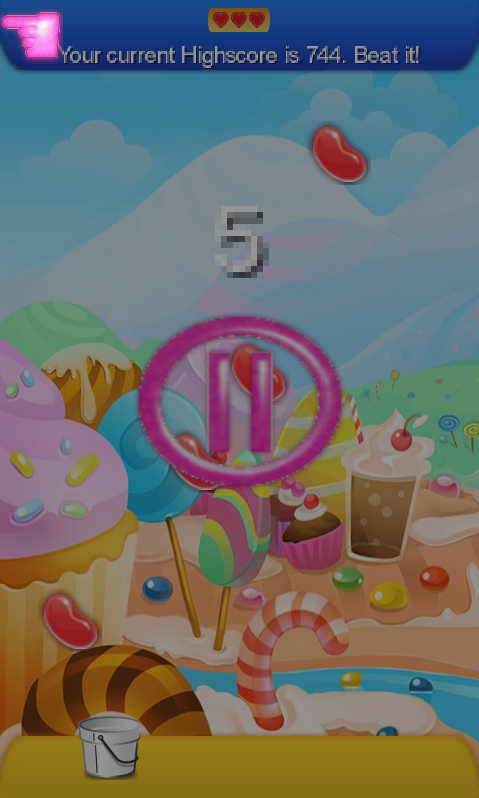 Candy Rain is my first game for android. It’s written in java and i’ve used libGDX as library. I know, the basic idea isn’t too original, but at least it’s not a clone and it actually was a project for me to learn. Lifes: You can have up to 3 lifes. Bigger Bucket: You can bigger your bucket for one play. 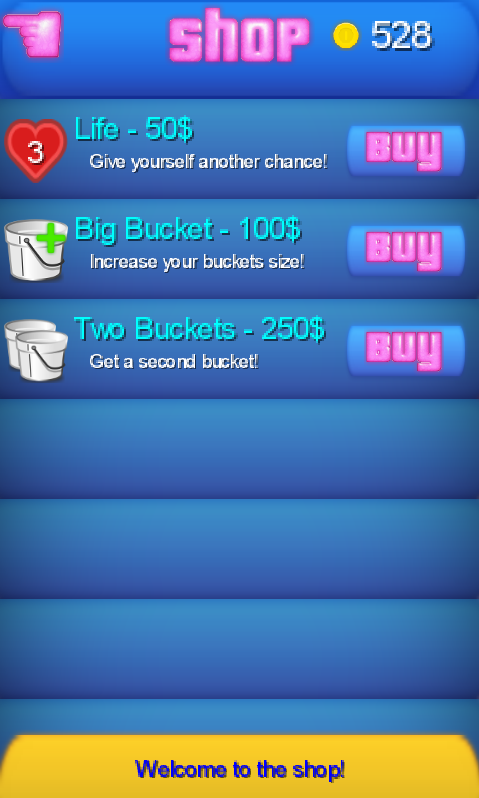 ** **Two Buckets: Use two fingers to catch more candies! I’ll also add some more shopitems and maybe powerups. Also, if someone got an idea, i can add additional mechanics. Btw: I’m looking for a game designer / artist. Not for this project, but in general. I wanna create some individual games and therefor i need someone to help me. I guess i got the skills to program a decent game, but i’m in lack of ideas and own graphics/sounds. Every idea I had you couldn’t stick to it. Lol no. I don’t think they bother. Since i haven’t even put it into a market place. is the life and bigger bucket real money? 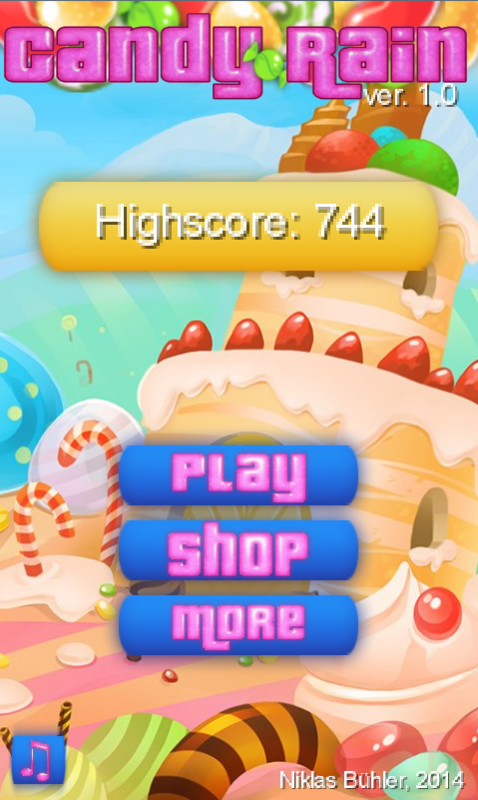 Congrats on the first game, I would be careful though since you are stealing candy crush graphics and they arent exactly a unknown game. Also yea, try to work on the blurryness. Yeah, i’ve just downloaded some graphics from opengameart.org. The graphics look… bad. 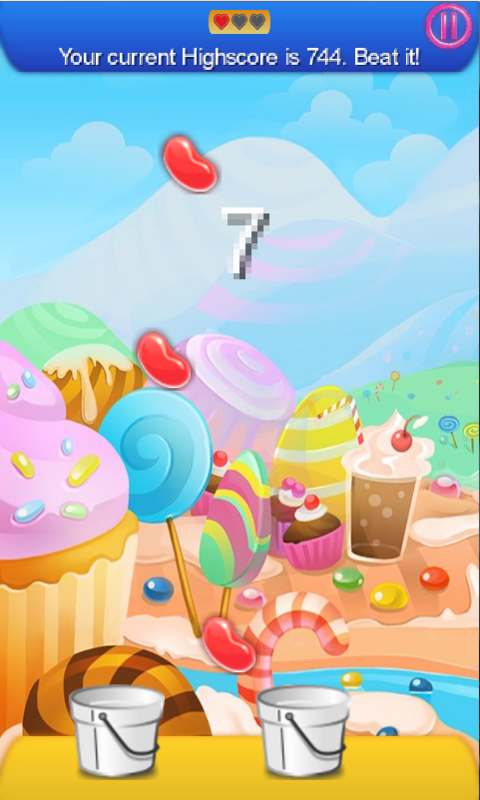 the black outer “glow” on the red candies is cropped (pay more attention) and do something with the text. May I suggest using cartoony graphics? would look a lot better that these “real-ish like” graphics. I’ll see which graphics i can find. I could help with that, for a price or for free, doesn’t matter, if you’re happy with the results, I’m willing to accept payment, if not, it’s ok. But, I can only work on weekends. 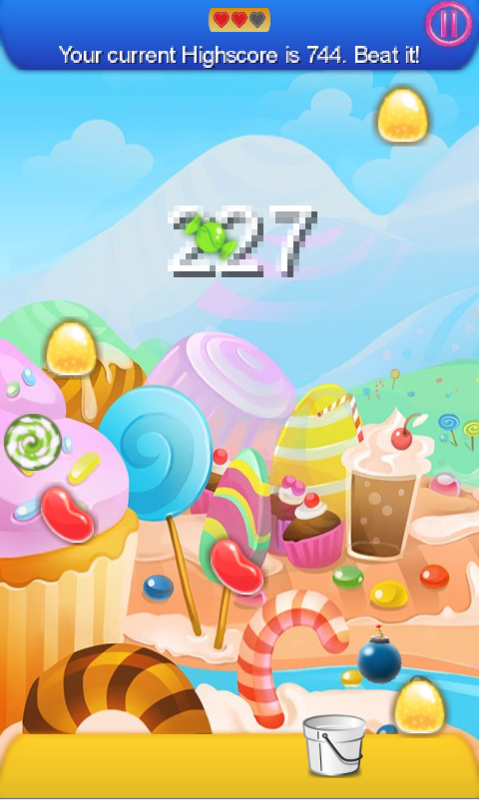 Since you have stolen candy crush graphics if highly suggest changing them and getting custom ones made ASAP. With such a big company that the developers of that game have they can shut you down in seconds. 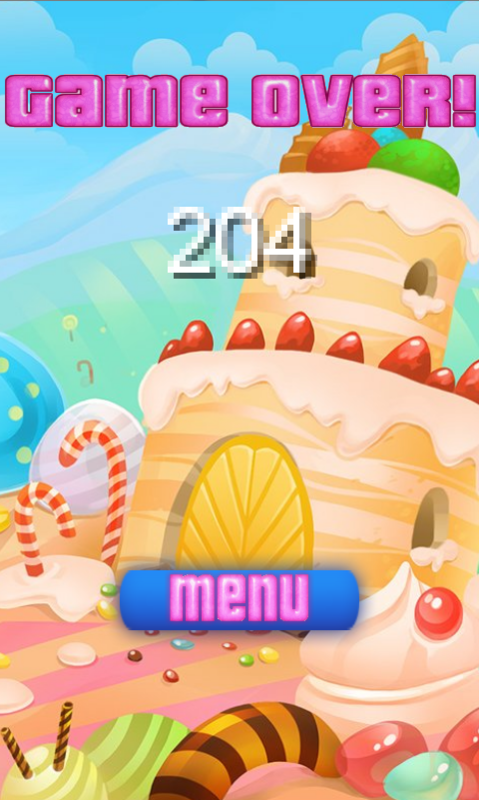 Candy Crush as in Candy Crush Saga? Yeah, that company is notorious for suing.